Two-hundred-and-ninety travel agents and wholesaler executives received updates during these events; members of the media were also present in several of the activities held in these two South American countries. The Promotions teams of the Riviera Nayarit Convention and Visitors Bureau (CVB) and the Puerto Vallarta Tourism Trust took the Joint Promotional Campaign on a tour of South America during the first week of November 2016, concentrating on Argentina and Peru. “This is a crucial time when we want to show South America the wonders of the Mexican Pacific’s best beaches and that Mexico has much to offer the Southern Cone as far as tourism and culture way beyond the Caribbean,” said Marc Murphy, Managing Director of the Riviera Nayarit CVB. 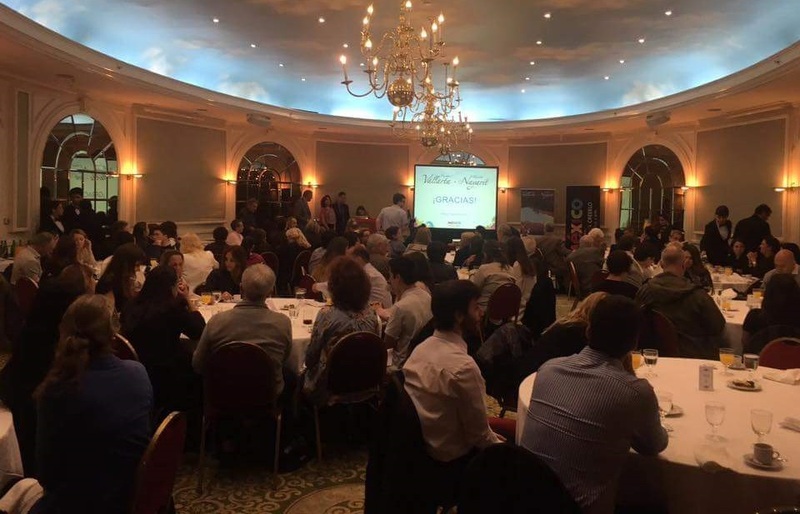 There were 170 travel agents trained in Argentina: the first 70 were seen in Mar del Plata and the remaining 100 were in Buenos Aires. The media attended both events. Montserrat Santarella Brieño, Adjunct Director of the Mexico Tourism Board in Buenos Aires, was present at the latter event. The team’s tour ended this week in Lima, Peru, where they trained 90 travel agents and held a special event for 30 tour operator executives. As usual there were hotel representatives from both destinations at the events to showcase their products and help reinforce the Promotions teams’ presentations. Immediately after concluding their activities in South America, the teams from the Riviera Nayarit and Puerto Vallarta flew to London, where they are currently promoting the destinations at the World Travel Market.